Nintendo Direct Roundup: November 2014 – Eggplante! It’s been a while since we’ve had a true Nintendo Direct broadcast touching upon the entirety of The Big N’s upcoming portfolio of Wii U and 3DS releases. Nintendo CEO, Satoru Iwata has been unable to broadcast for several months, due to having to recover from surgery. Fortunately, Mr. Iwata has now made a full recovery, and it’s back to business as usual with Nintendo Direct. This Nintendo Direct laid out Nintendo’s plans for both the remainder of 2014, and the early portion of 2015. There was only one major surprise game announcement, but it was one that fans should no doubt be ecstatic about! With things returning to normal on Nintendo Direct, we’re also back to doing our Nintendo Direct Roundup. Thus, if you missed the broadcast, or simply want a recap of the highlights, we’ve got you covered for all of the information you need to know for the November 2014 Nintendo Direct. Before Mr. Iwata even took to the stage, Nintendo kicked off the broadcast with a mysterious 3DS game that moved around a bunch of varying landscapes. Progressively, the landscapes became more and more familiar, until they began to resemble that of a land once plagued by a very noteworthy falling moon. Yes, it’s finally happening. Nintendo is remaking The Legend of Zelda: Majora’s Mask for 3DS! While news on the remake was slight, it appears to use the same updated graphics engine as The Legend of Zelda: Ocarina of Time 3D from 2011. The Legend of Zelda: Majora’s Mask 3D is also claimed to be maintaining the challenging elements of the original Nintendo 64 game, though Nintendo did tease some new play features to make the game potentially more accessible to a wider audience. Like The Legend of Zelda: Ocarina of Time 3D, some gameplay elements will be refined and smoothed out as well, to make the game more streamlined and modern. 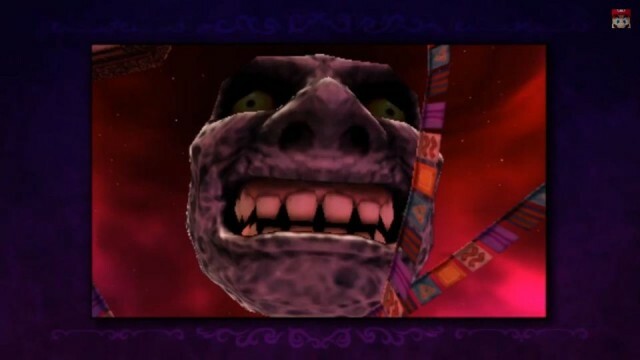 The Legend of Zelda: Majora’s Mask 3D is targeting a Spring 2015 release window, but that was it for news on the project. Even so, it’s incredibly exciting to see that this incessantly-demanded 3DS remake is finally in the works, and it should be a big 3DS tentpole offering next year! 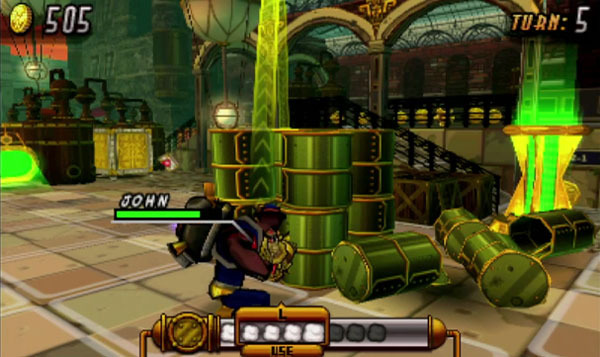 The game’s mechanics were shown off, combining turn-based strategy with third-person shooting, as the various characters use a slew of unique special abilities and mechanics to combat an alien invasion in 19th Century London. Abraham Lincoln was also revealed to be the head of Code Name S.T.E.A.M., and is apparently an unlockable character that can join your squad. Players will use a finite resource of Steam to issue turns and actions to your characters, combining both direct and overwatch views. They can also carefully manage Steam resources to get the drop on enemies, potentially surprising them, which will stun them and prematurely end their own turn. The game still appears to heavily resemble a steampunk version of Sega’s Valkyria Chronicles on PlayStation platforms, with an undeniable dash of Nintendo charm. 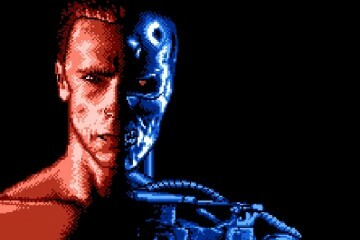 Code Name S.T.E.A.M. is also set to come to 3DS in Spring 2015. Next on the docket was Ultimate NES Remix, a portable combination of Wii U eShop games, NES Remix and NES Remix 2, which will be blended into a retail package for 3DS. 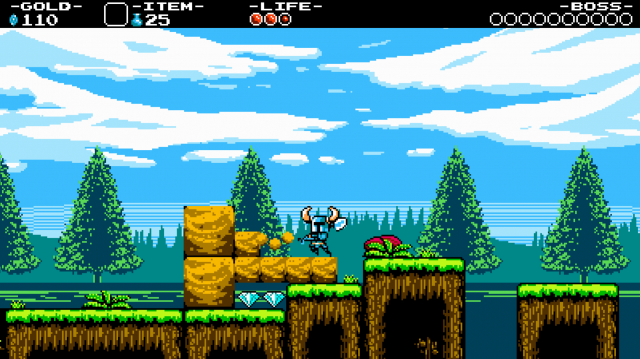 The two games were recapped and shown off in their revised 3DS forms, with Ultimate NES Remix boasting several exclusive features that will be added to the 3DS build for the first time. Leaderboards and Daily Challenges are the first new additions, which will encourage players to get competitive and play harder not just by comparing scores, but also by being able to review and study other top players’ gameplay footage. Ultimate NES Remix will also exclusively feature a ‘Famicom Remix Mode’, which will add in all-new challenges based on the Japanese builds of the included NES favourites. Lastly, an all-new challenge, “Speed Mario Bros.” will be featured in Ultimate NES Remix, which will realize in full the original 1985 Super Mario Bros. game, only with the gameplay speed, controls and music all sped up immensely! As with the other tasks, players’ scores and play footage can be gathered and shared on the Nintendo Network Leaderboard for Speed Mario Bros. 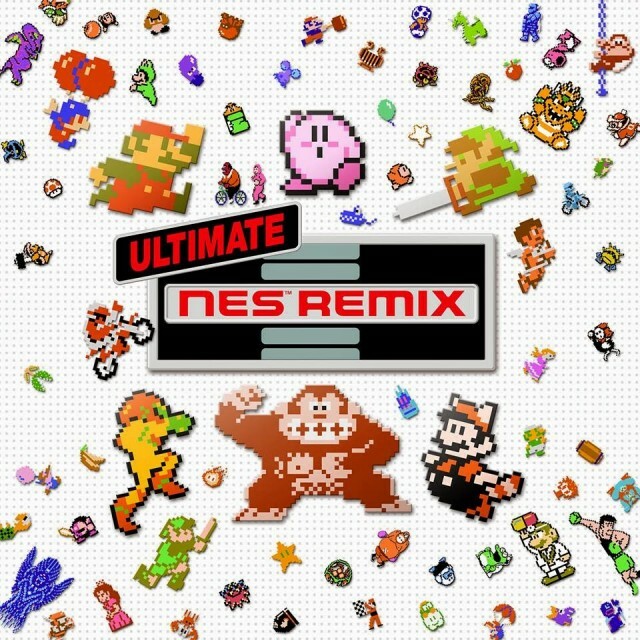 Ultimate NES Remix will hit 3DS both at retail and on the 3DS eShop on December 5th of this year. Not only that, but anyone who purchases a physical or digital copy of the game within a certain timeframe will receive a unique Famicom background theme for their 3DS/2DS handheld. Captain Toad: Treasure Tracker for Wii U was recapped next, with the confirmation that over 70 stages will be featured in the game. This reveal came with a new “Mini-Universes Galore” trailer that showcased the outstanding level variety that the game is set to offer, moving between grasslands, mining mountains, haunted swamps, lava caverns, enchanted palaces, and more! 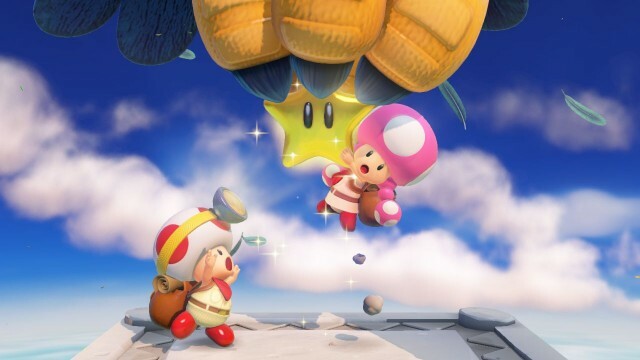 Toadette was also shown in action with Toad at length in this latest trailer, confirming her status as a playable character in the game. All-new in-game Challenges were revealed for the first time as well. An example was shown where player can accomplish a bonus objective in a certain stage of never being detected by Shy Guys. Should players succeed at a Challenge, they can potentially unlock some new content for the game. Captain Toad: Treasure Tracker comes to Wii U via both retail and the Wii U eShop on December 5th of this year. Eventually, it will be compatible with Nintendo’s Amiibo NFC figures via a free software patch, but this functionality likely won’t be added until some time next year, and Nintendo had no details to provide regarding how it works. Nintendo did however take the re-affirming of the release date here to confirm that Captain Toad: Treasure Tracker, like Super Smash Bros. for Wii U, can be pre-ordered and/or purchased directly from Nintendo’s website, with Nintendo now supporting digital pre-loads and pre-orders for the first time starting this month. Authorizing pre-orders and digital purchases through the Nintendo website allows you to make purchases even from your PC or mobile device. Upon pre-ordering, you’ll receive a code, which, when entered into your 3DS or Wii U, will start downloading the game automatically. It’s great that Nintendo is finally adding this oft-requested feature into their platforms, allowing you to enjoy digital eShop purchases without having to wait once midnight comes upon their release date! You can access www.nintendo.com/buydigital for more information on this new Nintendo feature. 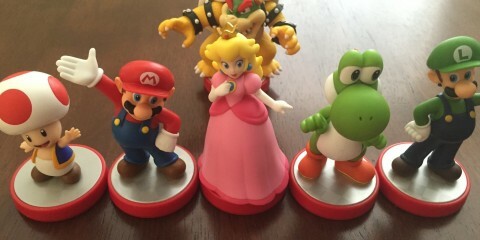 Next up was Nintendo once again taking the opportunity to plug their upcoming Amiibo line of NFC figures. The first 12 Amiibo figures are still set to launch on November 21st, alongside Super Smash Bros. for Wii U, with Nintendo reminding viewers that a second wave of Amiibo figures, comprising Little Mac, Zelda, Diddy Kong, Luigi, Captain Falcon and Pit, will arrive in December, with plenty more scheduled for release in 2015. Nintendo also reminded players that their Amiibo figures can be used to battle the Amiibo figures of their friends in indirect combat when scanned with the Wii U Gamepad during gameplay of Super Smash Bros. for Wii U. Some time after this, Nintendo finally clarified how Amiibo support is going to be retroactively added to Mario Kart 8, a game that’s been available for Wii U since this past May. 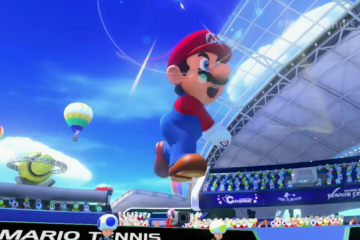 After a free software update, players can scan Amiibo figures while playing Mario Kart 8, and unlock Mii racer costumes modeled after the various fan-favourite Nintendo characters. Costumes themed around Mario, Link, Yoshi, Kirby, and Samus Aran, were demonstrated. The full list of compatible Amiibo with Mario Kart 8 includes: Mario, Luigi, Peach, Yoshi, Donkey Kong, Link, Captain Falcon, Kirby, Samus Aran, and Fox McCloud. Right beforehand however, Nintendo showed a new Mario Kart 8 trailer, showing off the first of two DLC packs that are headed to the game. 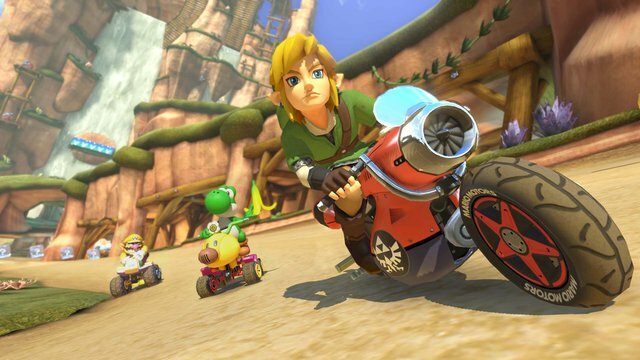 This first DLC offering will include tracks themed around The Legend of Zelda, F-Zero and Excitebike, and will also bring back a few fan-favourite tracks from former Mario Kart games. 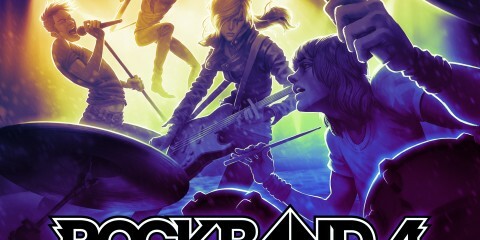 Link from The Legend of Zelda was also shown in action as a new playable character in the DLC, alongside Tanooki Mario and Cat Peach, the other two playable racers that the first DLC pack will add. New vehicles were also demonstrated, including the Blue Falcon from F-Zero, and a Legend of Zelda-themed ‘MasterCycle’, though the two other apparent vehicles weren’t revealed. Nintendo followed this up by announcing that the first Mario Kart 8 DLC pack, the Legend of Zelda Pack, will be released on Thursday, November 13th, for $7.99 USD. The second DLC pack, the Animal Crossing Pack, is currently scheduled for May 2015, also for $7.99 USD. Should players choose however, they can pre-purchase both packs for $11.99 USD, which will also net them alternate colours for both Yoshi and Shy Guy. Not a bad deal, if we may say so ourselves! Kirby and the Rainbow Curse for Wii U was up next, next year’s sequel to DS hit, Kirby: Canvas Curse. The unique line-drawing mechanics were shown again on the Wii U Gamepad. Nintendo confirmed an all-new addition that they didn’t detail during the game’s E3 2014 reveal however, a multiplayer mode! 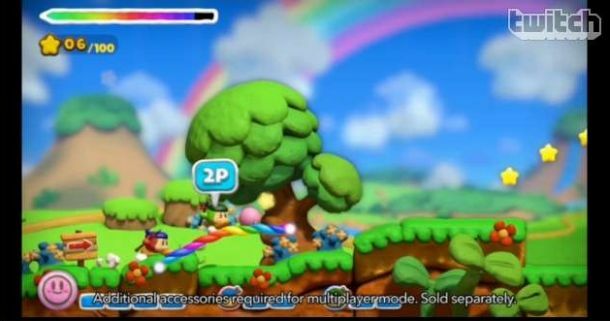 The multiplayer mode has one player using the Wii U Gamepad as normal, while up to three other players (presumably with Wii Remotes, Classic Controllers or Pro Controllers) control a bunch of coloured Waddle Dee’s. 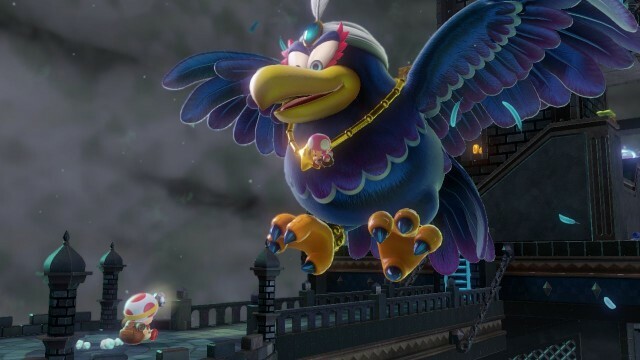 The Waddle Dee’s can pick up and carry Kirby, as well as amass collectible Stars, allowing the person on the Wii U Gamepad to focus on drawing lines for navigation. Fitting with the plasticine-inspired art style, Kirby can also be moulded into various shapes and transformations in certain stages, including a tank. When playing in multiplayer, even the Waddle Dee players can also be transformed into these same variations. Kirby and the Rainbow Curse is also compatible with Amiibo in some fashion, though Nintendo didn’t go into any detail for now. They did however finally give the game a more specific release window, with the Wii U exclusive set to arrive in February 2015, both physically at retail, and digitally via the Wii U eShop. Amidst the expected wave of Amiibo-related announcements, Nintendo also finally gave confirmation about how their high-profile Wii U spin-off from this past September, Hyrule Warriors, will utilize Nintendo’s NFC figures. 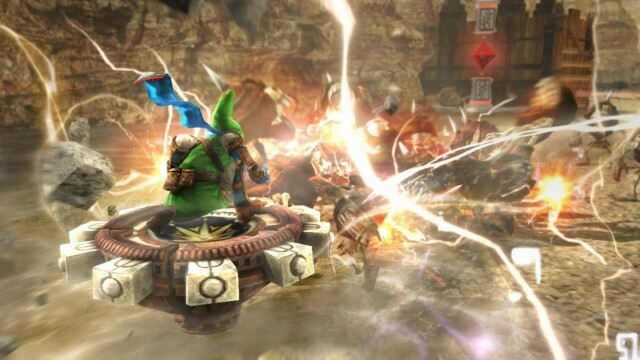 If players scan the Link Amiibo on the Wii U Gamepad while playing Hyrule Warriors, they’ll gain the ability to use Link’s fast-moving weapon/locomotive platform, The Spinner in battle, from The Legend of Zelda: Twilight Princess. In a surprise twist, players can also scan any Amiibo figure that’s compatible with Super Smash Bros. for Wii U (so, pretty much all of them at this point), to unlock a randomly-generated material, weapon or set of Rupees. That may give avid players of Hyrule Warriors some added incentive to collect as many Amiibo’s as possible! The Amiibo functionality will be added to Hyrule Warriors with a free software update this month. As soon as the patch is released, the Hyrule Warriors DLC offering, Legend of Zelda: Twilight Princess Pack, will also go on sale this month. Along with re-affirming Amiibo compatibility in the soon-releasing Captain Toad: Treasure Tracker, Nintendo also re-affirmed some sort of Amiibo functionality in two more upcoming Wii U games in 2015, Yoshi’s Woolly World and Mario Party 10, both of which were otherwise absent from this Direct. Players can look up more information on Amiibo and compatible games at amiibo.com. Nintendo followed up reminding fans that Amiibo launches alongside Super Smash Bros. for Wii U on November 21st with another character reveal for the hotly anticipated console crossover fighter. A cheeky reveal trailer showcased for the first time on Wii U, the Duck Hunt Dog from Duck Hunt on NES as a playable fighter! The Duck Hunt Dog feels like something of a gag character, being all about goofy tactics, and utilizing one of the Duck Hunt Ducks on his back to assist him in battle. Different costume variations also allow him to appear not only in his normal bloodhound-esque appearance, but also as a black lab, a dalmatian, and more. Duck Hunt Dog can also utilize the cardboard-esque pixel designs of another NES Zapper game, Wild Gunman, in a double dose of NES Zapper love for Super Smash Bros. Not only that, but a Duck Hunt-themed arena will also be featured in Super Smash Bros. for Wii U, complete with 8-bit retro aesthetic! Another pleasant (and overdue) surprise was the follow-up reveal that the Duck Hunt Dog’s NES darling, Duck Hunt will also be coming to Wii U Virtual Console some time soon! As fans suspected, the game will require using a Wii Remote, which will have its pointer substituted for the NES Zapper to shoot down ducks. 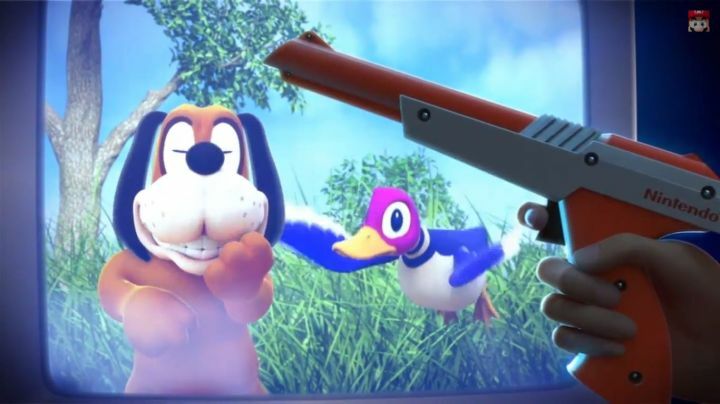 Unfortunately, an exact release date wasn’t given for Duck Hunt’s Wii U re-release. Next was another expected turn to Nintendo’s indie division, where The Big N’s presence was highlighted at the recent Indiecade Festival. Various eShop indies for 3DS and Wii U were briefly shown, both newly-released and soon-to-be-released, including Stealth Inc. 2: A Game of Clones (Wii U), Sportsball (Wii U), Shantae and the Pirate’s Curse (3DS), The Swapper (Wii U), Art of Balance (Wii U), Runbow (Wii U), and Shovel Knight (3DS & Wii U). Nintendo is also sponsoring an indie game exhibit, Indie Game Revolution, at the EMP Indie Game Museum in Seattle, to once again re-affirm their support of the indie game industry. They’ve even coined the, “Nindie” term to describe indie games coming to 3DS and Wii U.
Nintendo confirmed that they also had fifteen indie games to show off for 3DS and Wii U at Indiecade, seven of which were playable for the first time at the event. Ten developers were also on hand to show off their ‘Nindies’, including Wii U exclusive, Affordable Space Adventures, which was nominated for an award at the show. Nintendo also stated that more Indiecade information, along with interviews directly with the developers, can be seen both on the 3DS and Wii U eShop, as well as Nintendo’s YouTube channel. While there wasn’t another sizzle reel, Nintendo did outline several more of their upcoming indie projects for the Nintendo eShop on 3DS and Wii U, including: Swords & Soldiers II (Wii U), Xeodrifter (3DS), A World of Keflings (Wii U), Beatbuddy (Wii U), Citizens of Earth (3DS & Wii U), Sportsball (Wii U), 6180 The Moon (Wii U), Gunman Clive 2 (3DS), Thomas was Alone (Wii U), Chariot (Wii U), High Strangeness (Wii U), Steamworld Heist (3DS & Wii U), The Swapper (Wii U), Affordable Space Adventures (Wii U), Proun+ (3DS), Tengami (Wii U), Treasurenauts (3DS), Runbow (Wii U), Chromophore: The Two Brothers – Director’s Cut (Wii U), RIVE (Wii U), A.N.N.E. (Wii U), Trine: Enchanted Edition (Wii U), Forma.8 (Wii U), Gone Home (Wii U), and Nihilumbra (Wii U). On one last note, Nintendo also worked with Choice Provisions to include a Commander Video Trophy in Super Smash Bros. for Wii U, another third-party trophy in the game. So far, it’s the only confirmed indie character from a Nintendo eShop game to be featured in Super Smash Bros. for Wii U. While still on the note of indie games, interestingly enough, Nintendo slipped in a footnote about Persona Q: Shadow of the Labyrinth, the hotly-anticipated dungeon crawler from Atlus that is set to arrive for 3DS this month. A Persona Q: Shadow of the Labyrinth-themed 3DS XL will be released on November 25th, alongside the game itself. The game however will be sold separately from the themed 3DS XL. In continuing their push for paid 3DS/2DS background themes, Nintendo confirmed new custom themes inspired by Shovel Knight and Sonic Boom in November. Not only that, but the 3DS eShop will now feature a Sonic Boom: Shattered Crystal demo, which went live for download at the conclusion of the broadcast. There will also be a Sonic-Boom-themed panel set for the built-in Puzzle Swap minigame, but details for that have not yet been finalized. On one last note from the indie division, another polar-opposite showcase from indie development, Monster Hunter 4 Ultimate, was shown off next. A new trailer played for the anticipated 3DS exclusive, showing unique Mario and Luigi-themed Felyne pets that you can team up with in the game. The Felyne’s will not only support Mario and Luigi’s colour-themed caps and overalls, but also wield mallets, similar to the Mario Bros.’ tactics in the Mario & Luigi series. Needless to say, you probably shouldn’t expect this bonus to carry over if Monster Hunter 4 Ultimate ever expands to PS Vita. Mario and Pikmin creator, Shigeru Miyamoto took the stage next to talk about a handful of upcoming short films based in the Pikmin universe. The shorts will be about 20 minutes long, will each cost $4.99, and will be available to buy and download from the Nintendo eShop on both 3DS and Wii U. 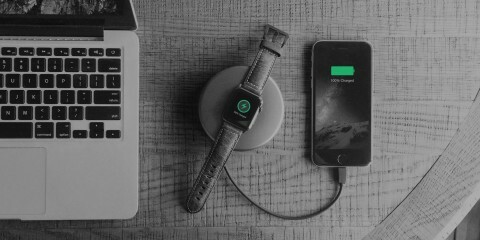 There will be three of them: The Night Juicer, Treasure in a Bottle, and Occupational Hazards. Should you opt to buy the shorts for 3DS, you can enjoy them in 3D, much like their screening in Japanese theatres, and at the Tokyo Film Festival. Buying the shorts for Wii U will only have them viewable in 2D, but the Wii U editions will compensate by being presented in gorgeous 1080p HD. In either case, the movie’s storyboards will also be available to see as a bonus when you download the shorts, with Miyamoto putting each storyboard together in the DSi’s Flipnote Studio application. 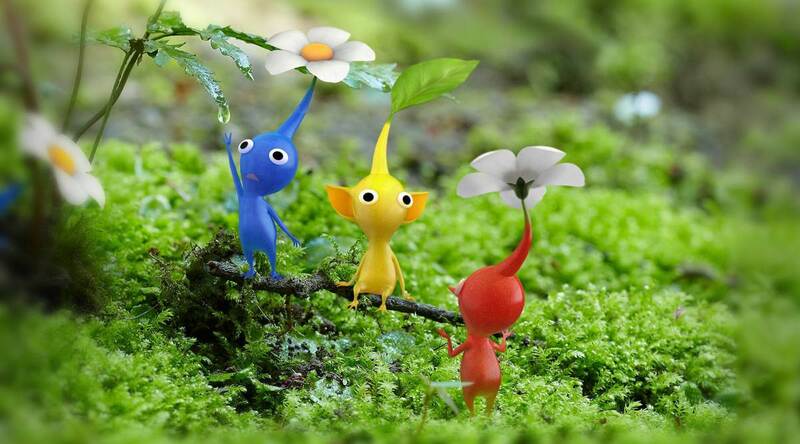 Not only that, but immediately after the broadcast, Nintendo released a rather overdue demo for Pikmin 3 on the Wii U eShop. The game will allow you to carry over progress you’ve made in the demo into the final version of the game, should you opt to purchase it after trying it out. Lastly, Miyamoto confirmed that new events are still in development for Pikmin 3, including some that will incorporate Miiverse. Unfortunately, no details were currently available. After the spotlight shifted back to Mr. Iwata, the Nintendo CEO brought up Xenoblade Chronicles X, finally revealing some key info about the game, including its premise. Apparently, the citizens of Earth have fled to an all-new alien world in the wake of an intergalactic war that is tearing apart the planet. This would appear to suggest that either Xenoblade Chronicles X is completely unrelated to the original Xenoblade Chronicles‘ story, or is possibly a distant prequel. The game involves a group of explorers navigating an uncharted planet after the human forces crash land on it, interacting with the (often hostile) wildlife, and mapping out the world. Players will take control of a group of these explorers based in the city of New Los Angeles, conducting research through quests, which either help develop their stats and connections with other party members, or, naturally, proceed the story. The game is said to be one of the most massive games yet for Wii U, being significantly larger than the original Xenoblade Chronicles on Wii, and is an incredibly ambitious open-world RPG with a ton of detail and visual beauty across the planet. 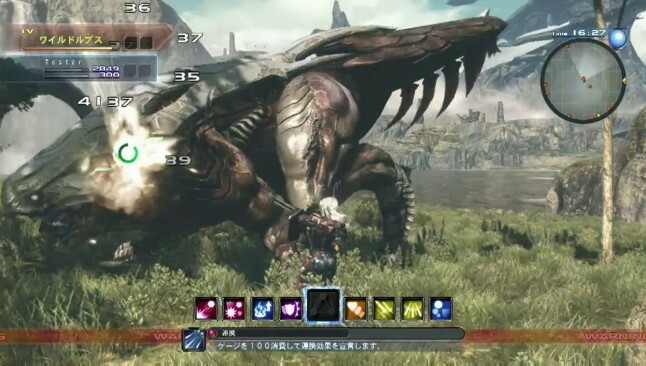 The game’s battle system appears to be a slight twist on the turn-based/real-time hybrid combat of Xenoblade Chronicles. Players can also use the Wii U Gamepad as a navigation tool, and research aid, which will allow players to explore the planet without any added stress of shifting around heaps of menus with a simple set of buttons. Xenoblade Chronicles X is still stuck with merely a vague 2015 release window, with a more specific window currently being unknown. Given the fact that the footage was still in Japanese however, it’s reasonable to assume that the game likely won’t be ready until the latter half of the year. The final game showcased during this Direct was Splatoon, another hotly anticipated Wii U game that was announced at this year’s E3. 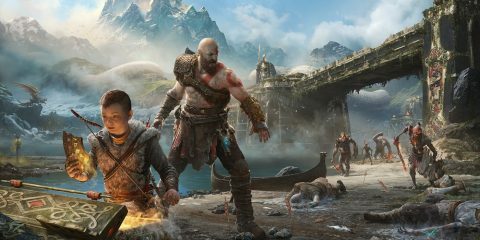 The game showcased a fast-paced and energetic trailer, showing off a ton of new gameplay, and confirming something else important– The game will indeed have a single-player campaign. 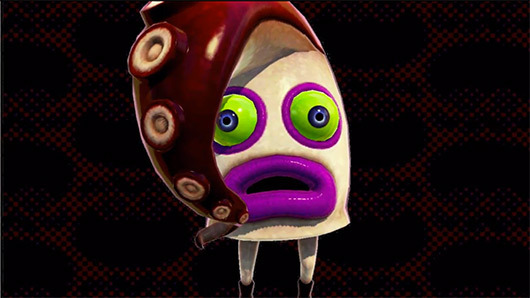 While primarily designed to be an online 4 vs. 4 territory-based shooter, Splatoon’s single-player campaign will allow the player character to take on a villainous band of octopi, who are apparently in a territory war with the squid characters that were already revealed. Nintendo also narrowed down the release window of Splatoon a tad, revealing that it will release during the 2nd quarter of 2015, both at retail and digitally via the Wii U eShop. 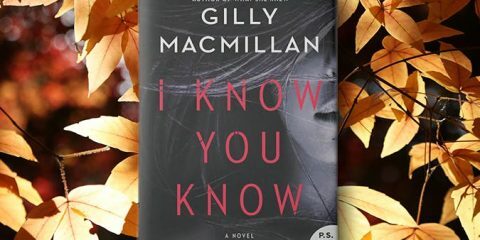 This likely places it in May or June, barring any unexpected delays. It was great to see Mr. Iwata back to good health, and the classic Nintendo Direct format make a return. There really is no substitute for an overall showcase of Nintendo’s 3DS and Wii U slate to come. The surprise reveal of The Legend of Zelda: Majora’s Mask 3D was a particular treat, giving us another huge 3DS game to look forward to next year, alongside Code Name S.T.E.A.M., which finally showed its first public footage outside of the closed E3 2014 Roundtable audience. Obviously, the big disappointment with this Direct is that Nintendo was completely mum on the New 3DS and New 3DS XL, which have now launched in Japan, to much success and acclaim. The improved handhelds are apparently on the way for North America and Europe next year, but Nintendo has yet to chat them up much for audiences outside of Japan. Perhaps we’ll have to wait until next month, or perhaps early next year, to hear about what kind of release plan Nintendo has for the New 3DS and New 3DS XL in the West. In any case, keep revisiting Eggplante for all of your essential news and updates from Nintendo Direct.